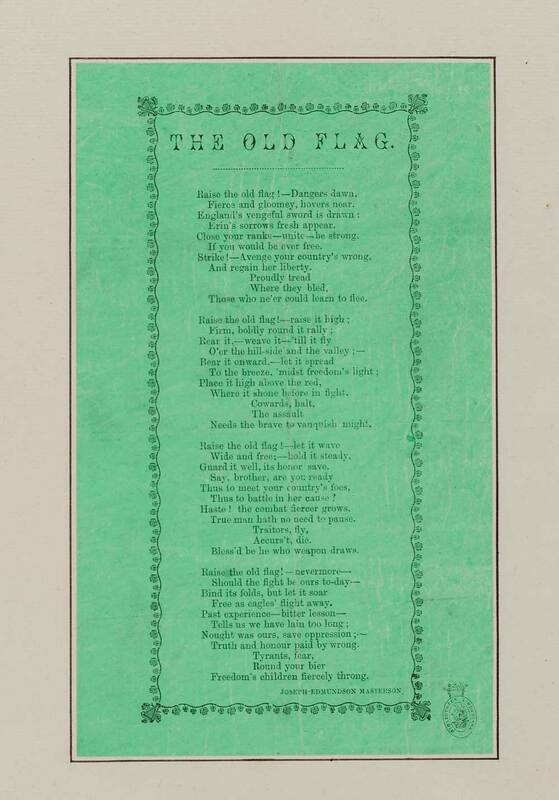 First line reads: Raise the old flag! - Dangers dawn. In one column. Printed at the foot of the text: Joseph Edmundson Masterson. The paper has been coloured green.